If I had to summarize the happenings of this week it would be meal preparation. I feel like I spent most of the week cutting food, cooking food, prepping food, etc. Eating clean is harder than I thought when you’re on the go and trying to do things like paint your house and organize your closets. Exciting adult stuff happening at my house this week. 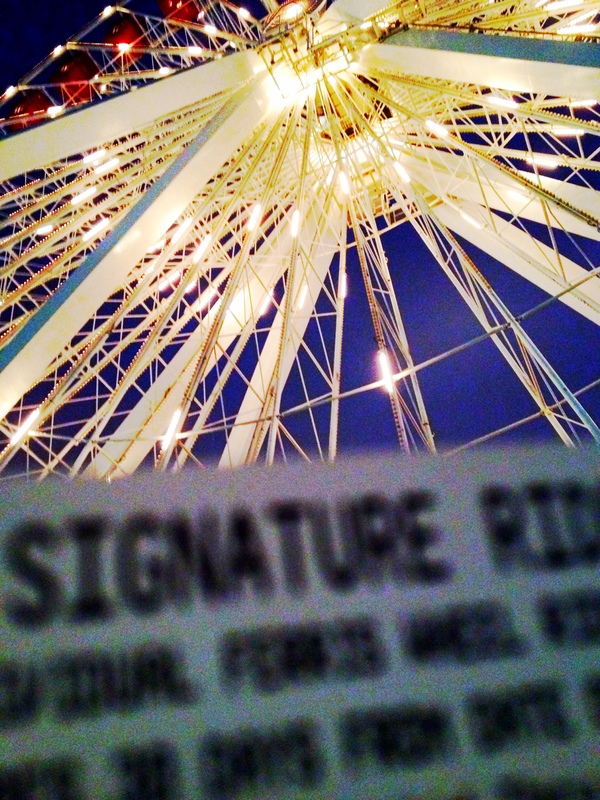 Last Friday when in Chicago I finally rode the ferris wheel at Navy Pier. For some odd reason it is something I’ve always wanted to do. My husband was not so interested, but I gave him the pretty please eyes and the next thing you know he was in line to buy two tickets to ride. It is was a beautiful view of the Chicago skyline at night and fireworks being launched above Adler Planetarium. 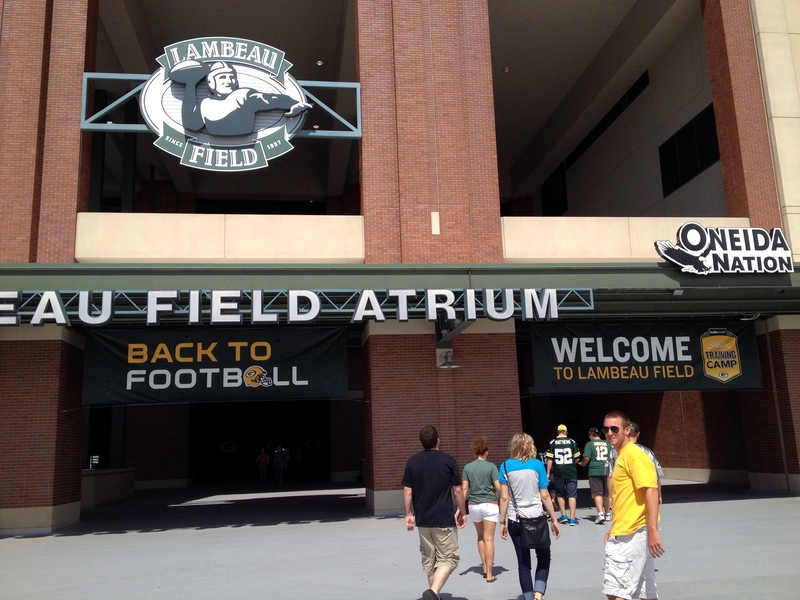 After a wedding last weekend we headed to Lambeau Field. It was like a sneak peek football weekend with the Big Ten Network 10k on Saturday and Lambeau on Sunday. I can’t wait for football to sport my new Packer headband, tattoos, and can coozy I picked up from the Packer Pro Shop. Go Pack Go! After getting back to reality, it was time to get back on track with my eating. 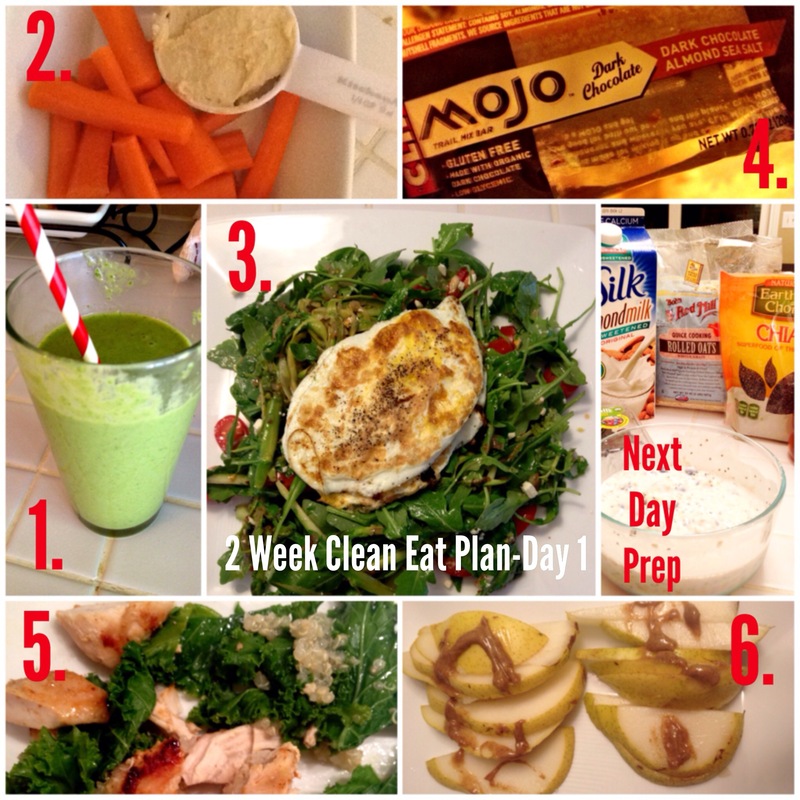 If you missed my two-week clean eating post earlier this week check it out. Remember I’m not a rule follower and will make adjustments to this plan whenever needed. Last night I grilled out with friends and ate a hamburger, and pasta, and tortilla chips with my pinto bean salsa. AND I ate the brownie dessert. This is life, not prison. Eat clean most of the time and enjoy the sweet goodness of processed foods once in a while. Seriously, I can’t believe how good some of the clean eats are, but at the same time my body wants processed food at least once a day. I’m trying and while I have not followed the plan perfectly at all, I’m eating better than I have in a LONG time. That is a success in my book. Perfection is overrated. If only I took my own advice more! 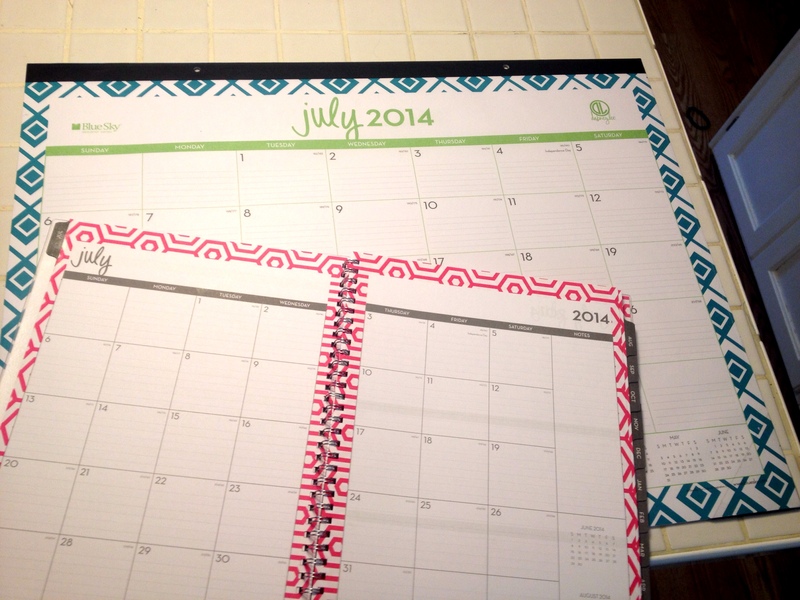 I can’t believe I’m even putting this on my blog because I’m so not ready, but there is something I love about buying a new desk calendar and planner. It’s a blank slate to fill in with the upcoming events of the school year. I love a fresh slate each year. And organization. I picked these both up at Target this week and love the design. Having pretty school supplies is a must. End talk of the school year. I must enjoy the last weeks of summer. I must enjoy the last weeks of summer. I know you were expecting some big thing here, but the truth is I don’t know. I don’t even have a clue. In the past the above quote was me to a T. Right now I’m feeling a little over running, a little burnt out. I want to run, but I don’t. 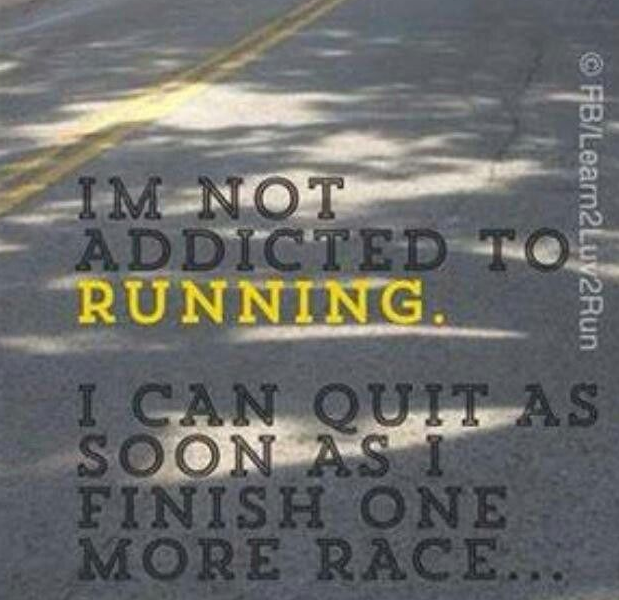 I want to fall in love with running and not need to be training for a race. It has been so long since I’ve run that way. I’ve got some fun 5k’s coming up with friends that I’m definitely excited about. As for my next distance race. I’m just not sure. Funds are low after racing so much the past three months (1-10k, 1-half marathon, 3-marathons and 1-50k), and I just don’t know what I want my next goal to be. PR half marathon? PR marathon? cross off another state? With school starting and cross country coaching officially beginning in a couple of weeks I don’t want to overload myself. We will just have to see. 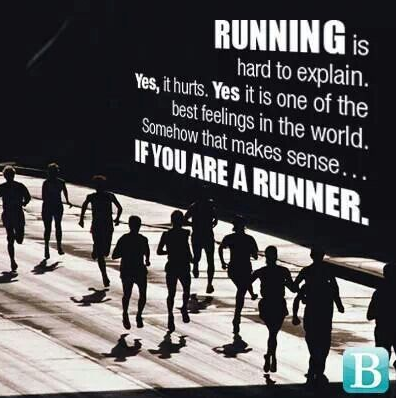 Please tell me I’m not the only runner who has felt this way before?! Anyone have any big races coming up? A football team you love to cheer for? Tips for race burnout? Ever since going to Taste of Madison in August and trying Chicken Tikka Masala for the first time, I’ve wanted it again and again. 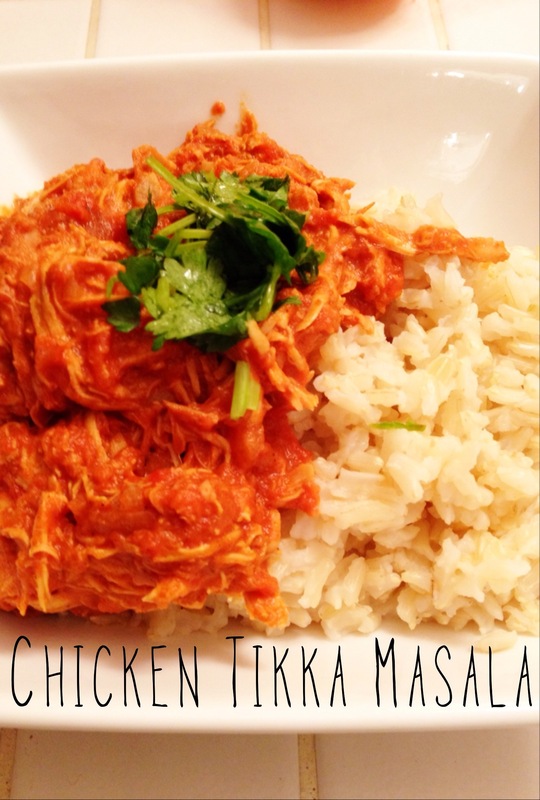 While pinteresting the other day I found this recipe, and we ate it on Monday for dinner. It was yummy, however I will add extra garam masala to add some extra spice. The cilantro and lemon added the perfect balance to round out this dish. Yum! This app and website are amazing. After taking our first roadtrip last summer, we are hooked. There is something about driving through towns, local food and beer, nature and landscapes so different from our own that we love. We have, of course by we I mean I, been busy planning here and there for a couple of months already. I discovered this website while planning away this past weekend. 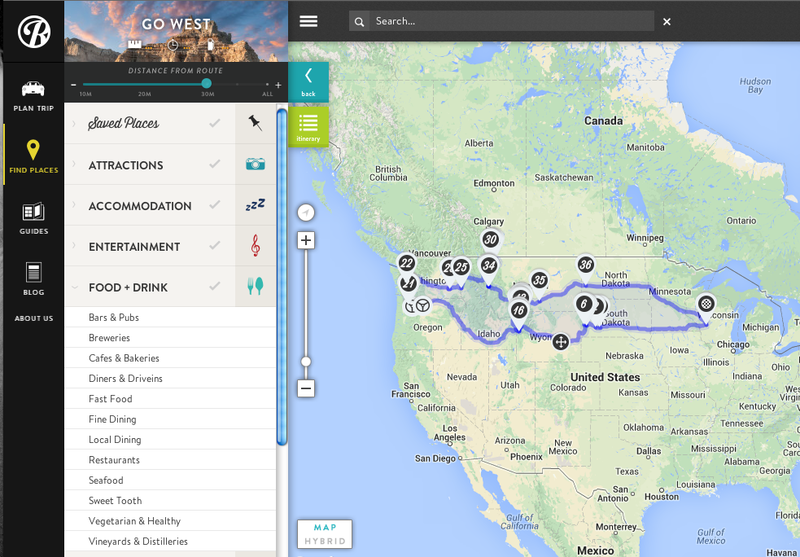 It lets you plan your route, which can be adjusted, and then add in things to see, do, etc. along the way. It has tons of options from hikes, to national parks, to out of the way attractions, to breweries, to sweet tooth stops. I’ve got our routes and stops planned with a general itinerary made. On top of that it keeps track of the hours, miles, and gas cost to take your road trip (you punch in you mpg, it calculates $ for you). Check this website out, then add the app to your phone. Your trips will show up on your phone and give you turn by turn directions. Above is a glimpse at our trip-Go West 2014! Check out the quick video below about Roadtrippers, too. Anyone already made a trip out West and have suggestions? Can’t miss stops? I’d love to hear about them! I don’t normally share makeup stuff on the blog, nor do I usually buy discount makeup products as I usually find you get what you pay for, however these colors were too fun and cheap to not buy (clearance @Target for $7.10). I was also pleasantly surprised at the quality. 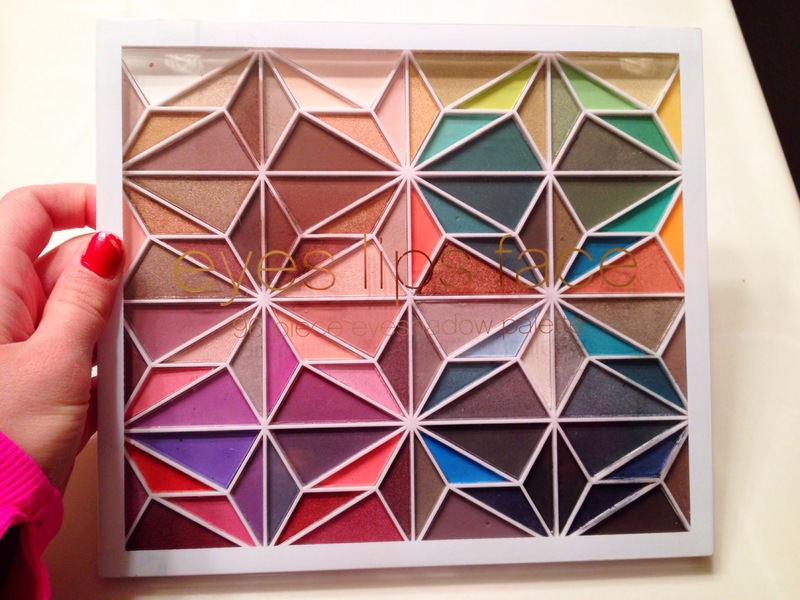 The colors are smooth, long lasting, and highly pigmented. If you’ve been looking for some fun colors to add to your makeup routine, but don’t want to spend all your money, then these are it! Just don’t have too many of number 4 below or you could end up looking frightening! My dad and stepmom know how Ryan and I love us some Shiner beer, so they rarely travel to Wisco without restocking us up. We love that they do this! The family reunion packs are always filled with a variety you can’t find here. 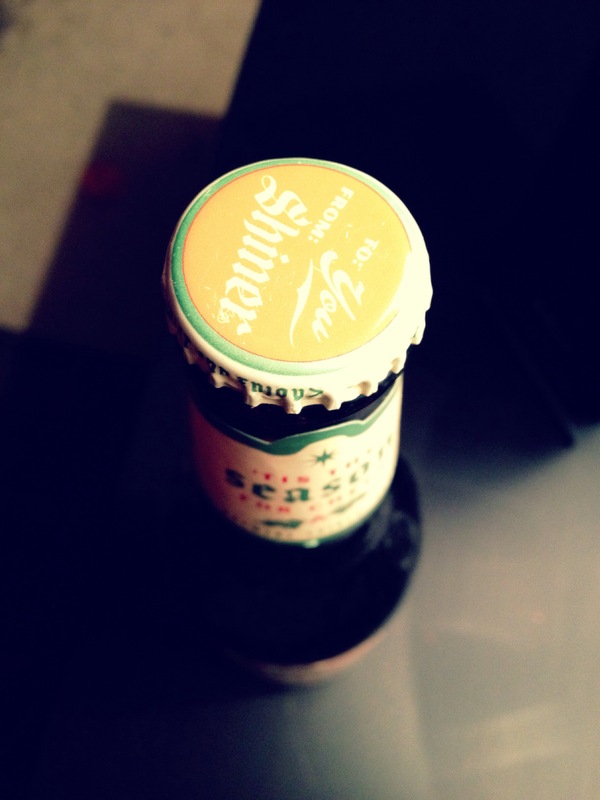 This year they also brought the seasonal Shiner Holiday Cheer. It is delicious and unlike any beer I’ve tasted before. 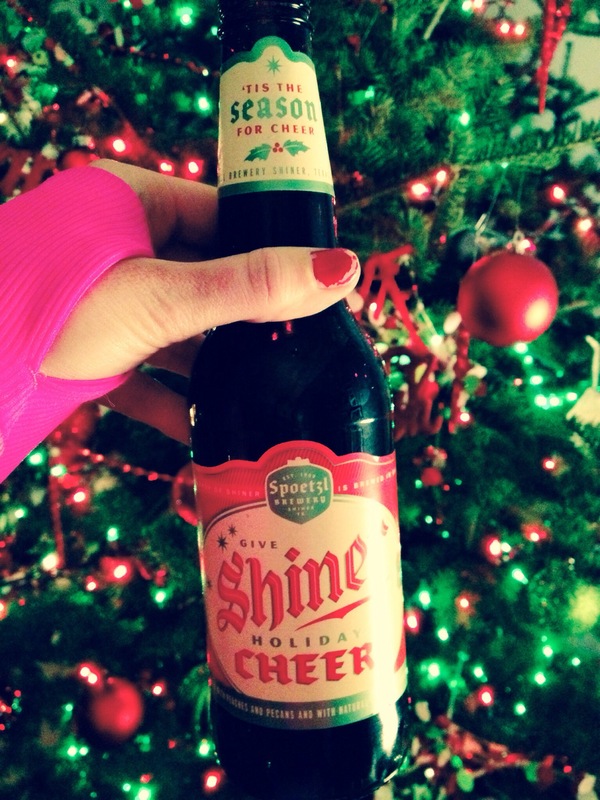 Holiday Cheer is a Bavarian-style dark wheat brewed with Texas peaches and roasted pecans. It is really smooth, too! Thanks to all of you for reading! I hope the new year brings happiness and cheer to you and yours! 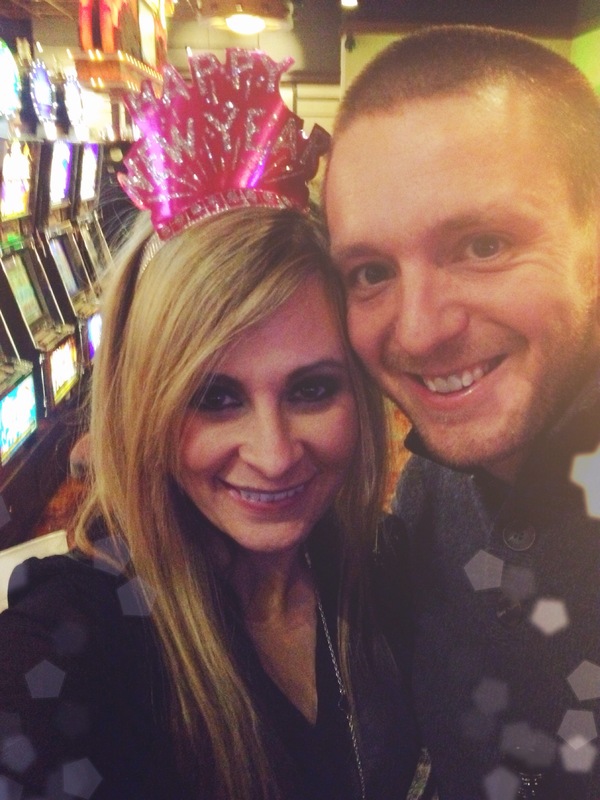 Our new year brought us some major gambling cheer as I walked away the big winner in the group with…$40 bucks. Our lives will never be the same! 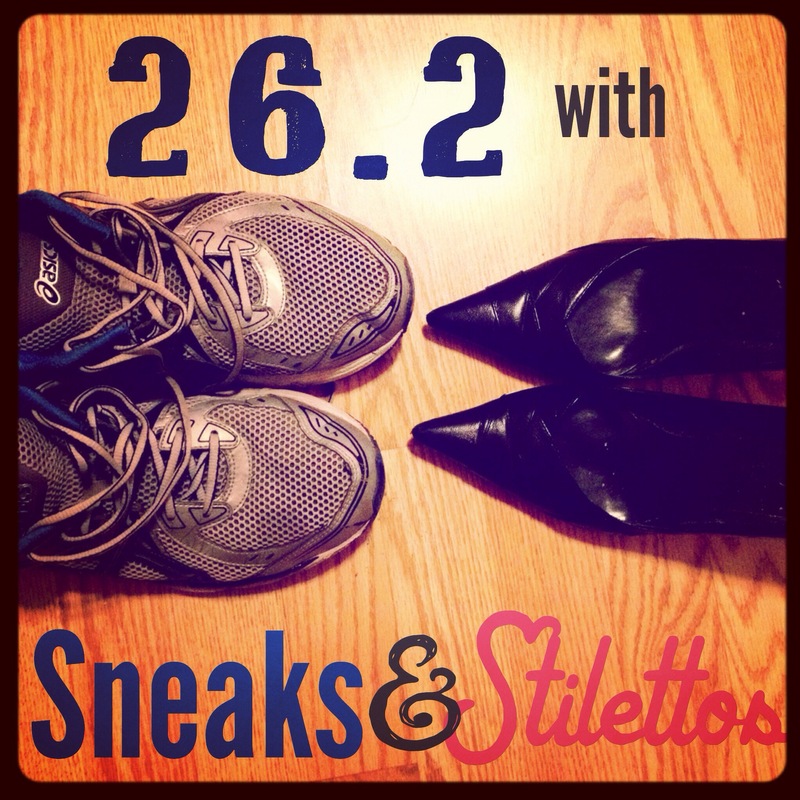 Stay tuned for Sunday’s post to find out how week 1 of marathon training went for the hubster and I! With the weather officially cool in the midwest it is important to dress the part else you may not actually get out the door or last very long once you are out there. Getting out the door is the hardest part. I always tell myself-Go at least a mile. If you want to come back after that, then do so. I’ve never came back yet. I know from numerous outdoor runs throughout the winter that dressing appropriately helps ensure you have a successful and comfortable run. I love running outside throughout the winter although I was not always big on this. Years ago I didn’t dress appropriately and therefore never went more than a few miles outdoors in the winter. Miles on the treadmill and around an indoor 2OO meter track only hold a person’s interest for so long. 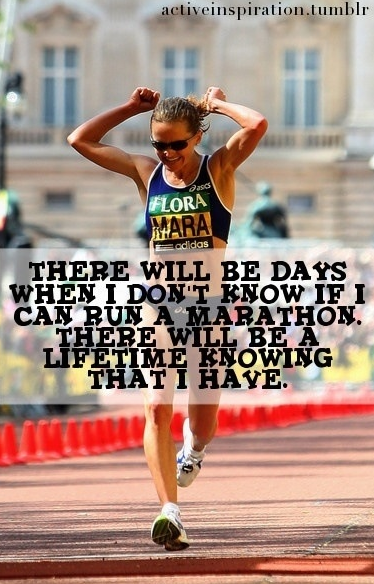 After training for my first marathon mostly on a treadmill for the first two months I knew I couldn’t keep doing that forever. It was then that I began to reevaluate winter running outdoors. If I ever wanted to run more than five miles outside, then I’d have to change my attire. 45-55=capris (love Nike and love,love Lululemon), t-shirt, and a lightweight long sleeve shirt (love Run Swiftly-Lululemon) that may or may not stay on. Arm warmers are great! 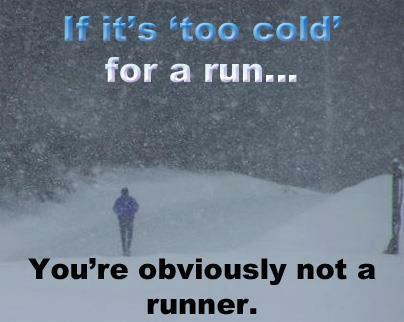 If it is much below zero, I generally run inside or don’t run. 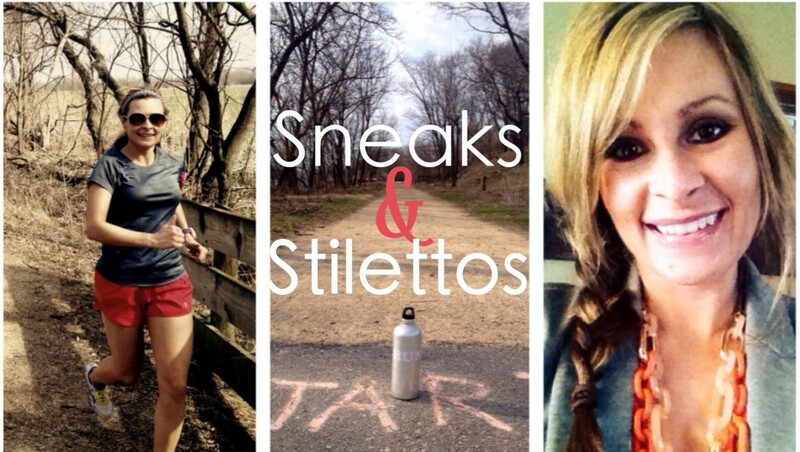 A great website I’ve used to decide how to dress is from Runner’s World-What to Wear. Last year I trained for the Rock n’ Roll Arizona Marathon throughout the Wisconsin winter doing all my runs outside except for my speed work sessions. It is impossible to run fast on slippery and snowy roads and sidewalks, so I brought that workout to the gym on a treadmill. All of my other runs were done outside. My first 20 miler came two days after we got 20 inches of snow and had school cancelled for two days in a row. I still went out dressed appropriately, ran at a slower pace, and put one foot in front of the other. The wipeout that had me sliding on my belly only deterred me for a couple of blocks. Had I worn my Yaktraxs that wouldn’t have happened. This year I will be wearing my Yaktraxs fo show. My ankle is still recovering. I only wear heels a few times a week. When I wear them I can feel my ankle hurting although it is not a hurt hurting. It still swells after days on my feet, heel wearing, or after long runs. 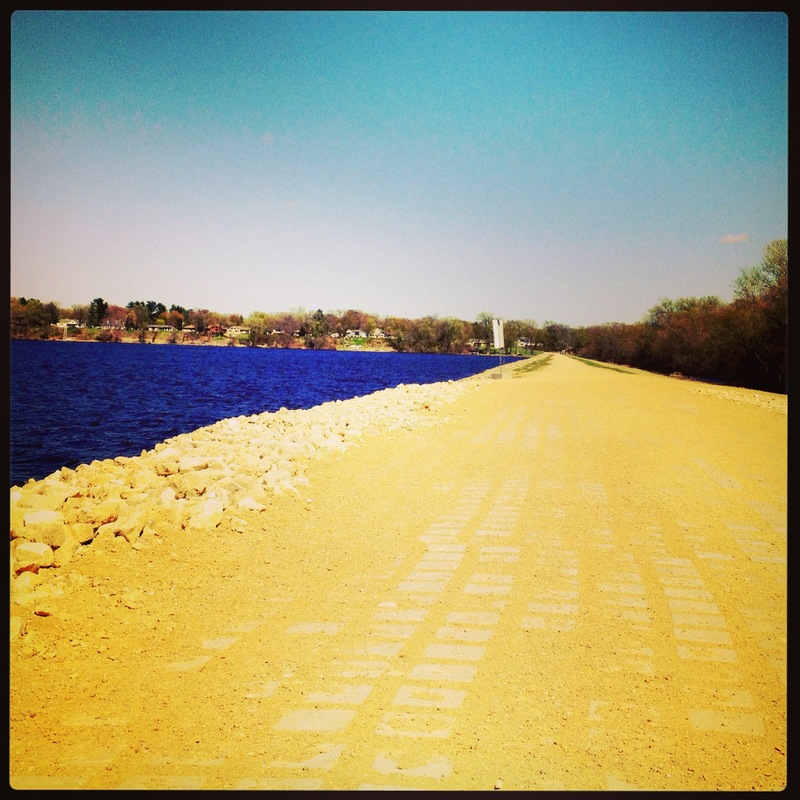 I am just so grateful it doesn’t really bother me while running. 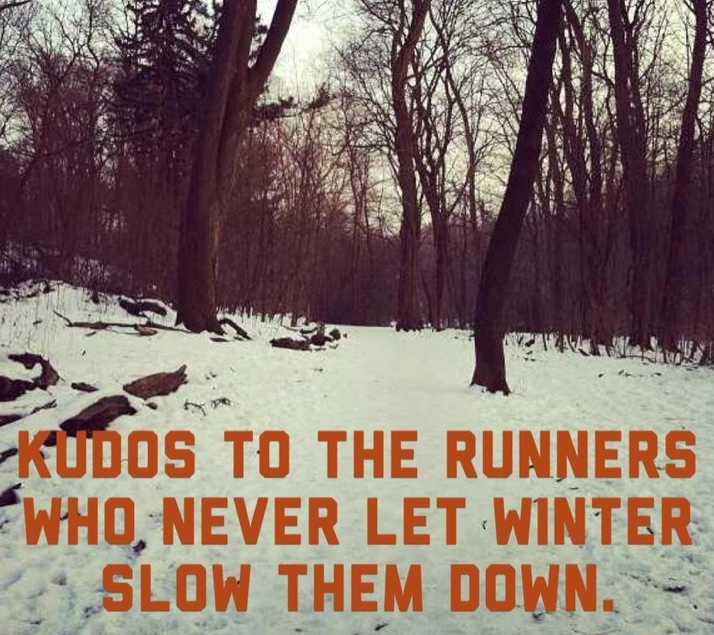 During the winter months don’t be afraid or frustrated that your pace is slower. 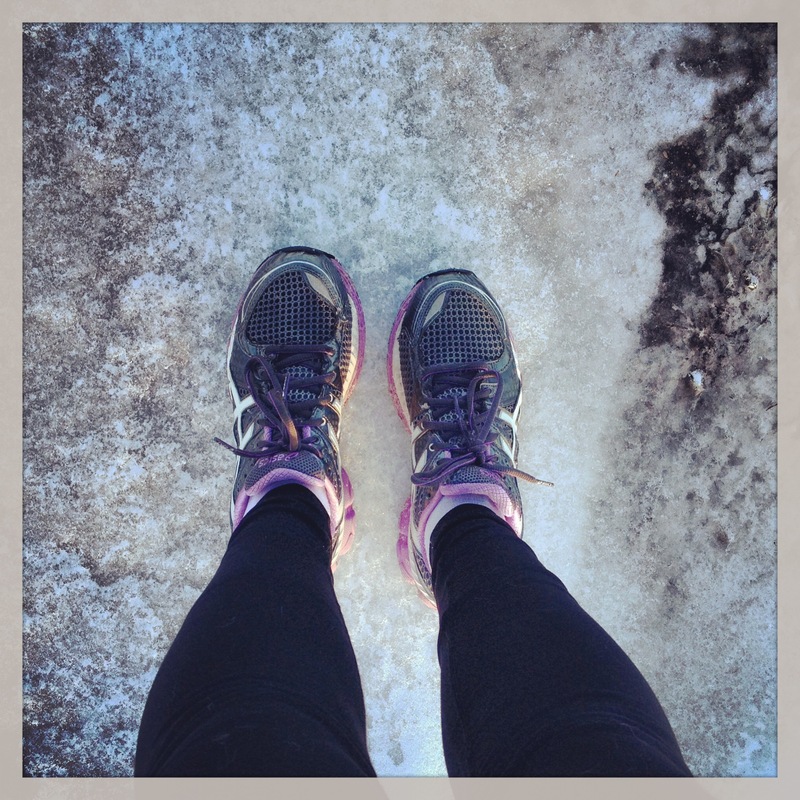 Running on snow and ice is similar to running on a beach; your muscles work much harder to maintain your balance. Running a slower pace on a harder terrain can still mean faster on an easier terrain. Take my PR in Arizona as proof. Those of you who live in Cali or elsewhere without snow, ice, and sleet-well just be glad. I will hate you all in February. Better yet, let winter be your maintenance miles. 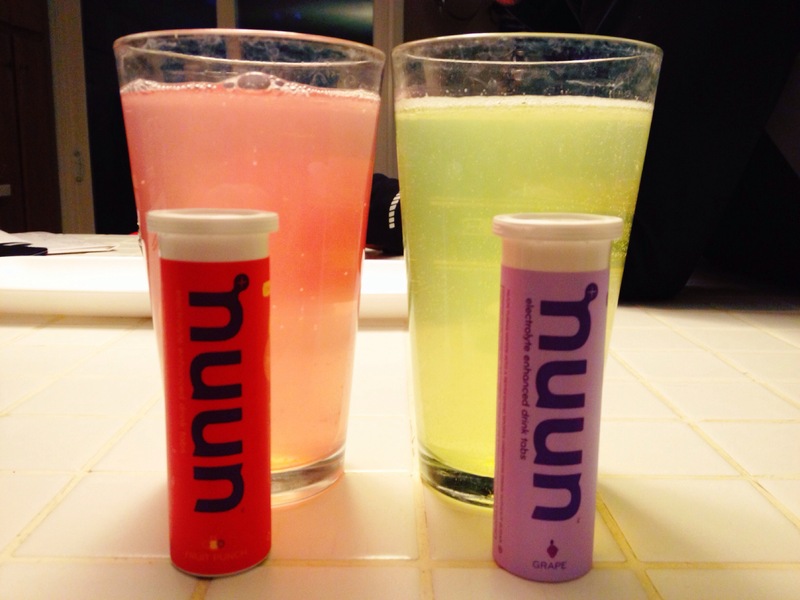 Stay in shape and enjoy the holiday treats without the guilt. Run to holiday tunes (a future post coming on that) and the holiday lights. Run for fun. Find a turkey trot or jingle bell run to motivate you. 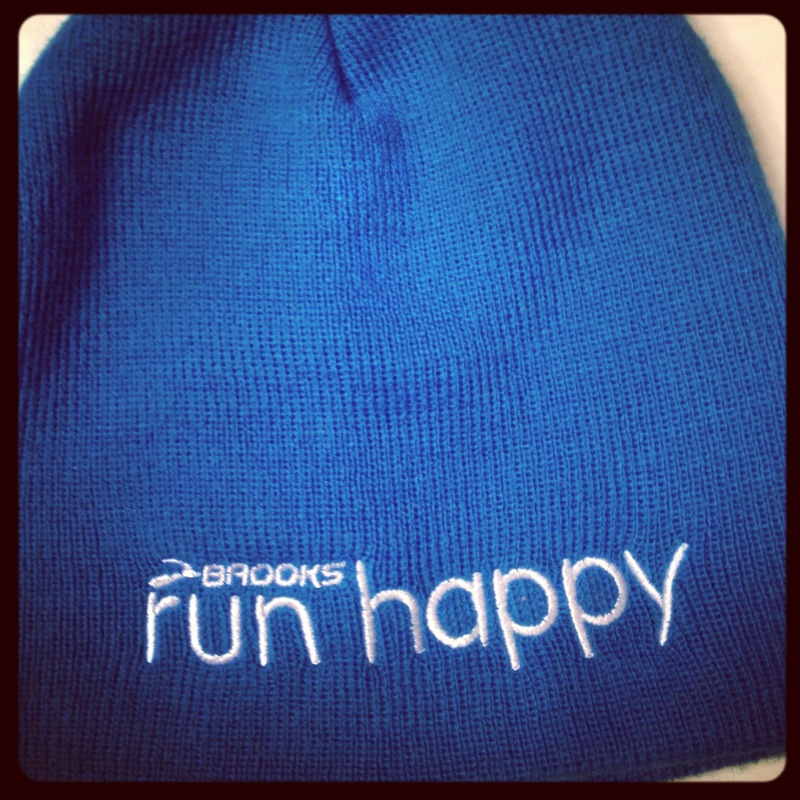 When dressed appropriately you can run all winter long and enjoy it. This week flew by for me! Anyone else? I suppose that is a good thing. Here’s what was going on this week. Ry and I went to a Twins game with the coaches he coaches with and their families, and the athletes and their parents this past weekend. It was freezing cold, but like Mandy, we too have a goal to see as many major league ballparks as possible. 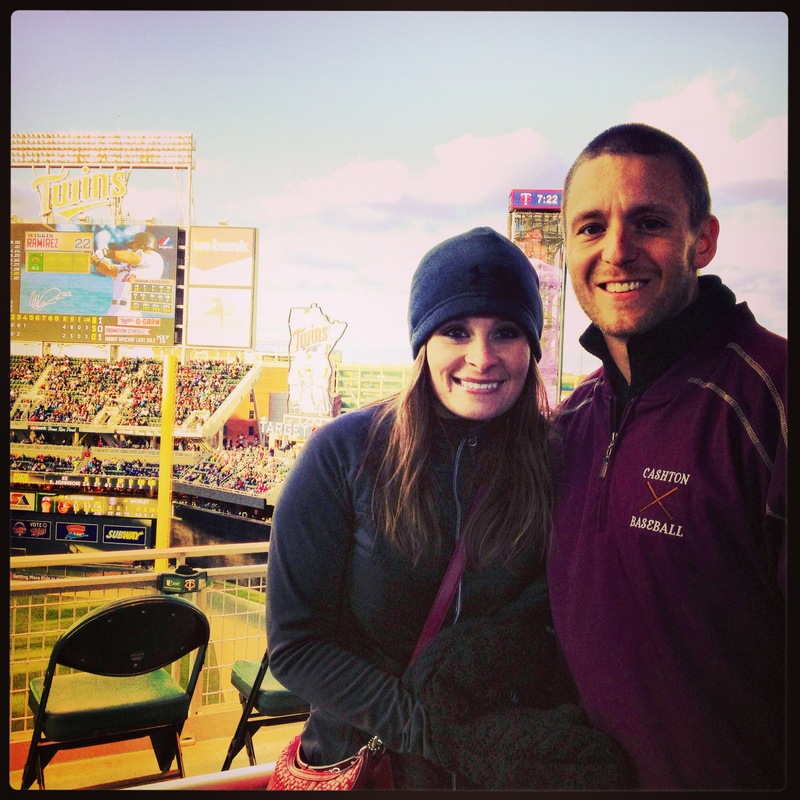 Ry had been to Target Field a few times before, but I had never. It was a fun park, but I still cannot believe they have no roof like in Milwaukee! 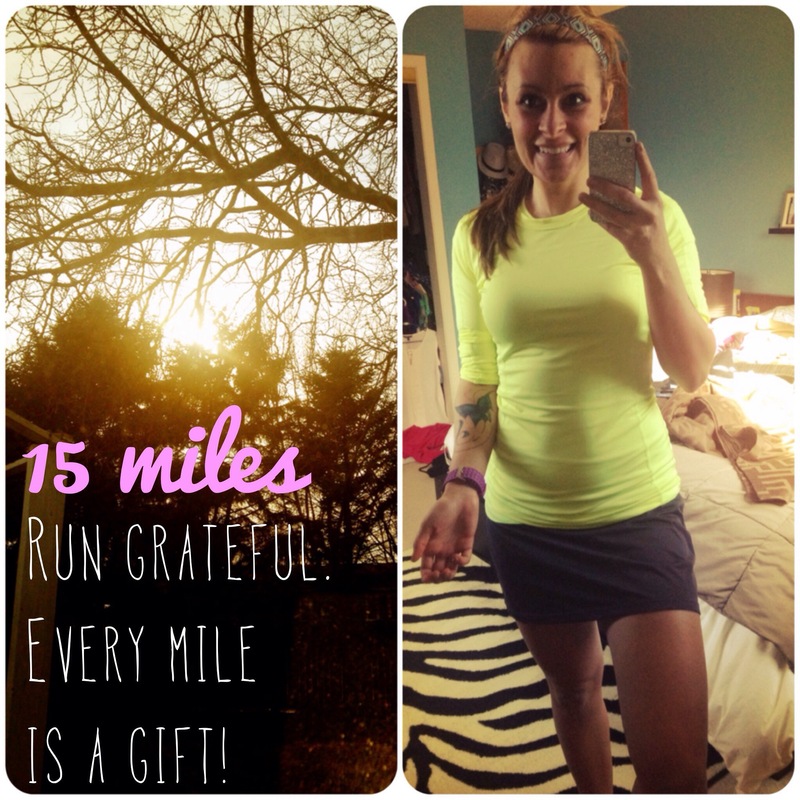 Check out Mandy’s 14 day challenge while your looking at her blog, too. 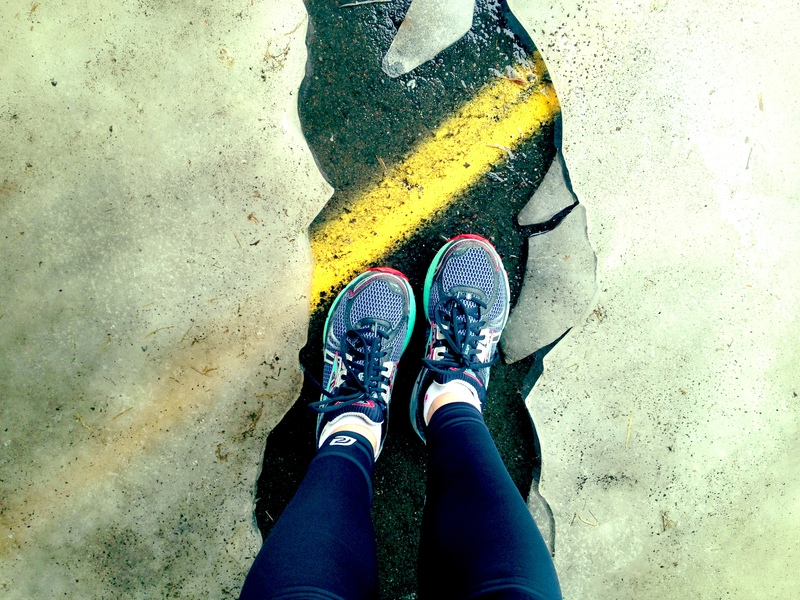 I’m always looking for quick, easy workouts to do after or before a run. This sounds like a great way to do that. You all have five minutes so stop with the excuses already. So, while picking up a few necessities at Target this past weekend I made the mistake I’ve made a number of times before, I went to the workout clothes section. Lets be honest, I don’t view this as a mistake and I know it will happen again…over and over. 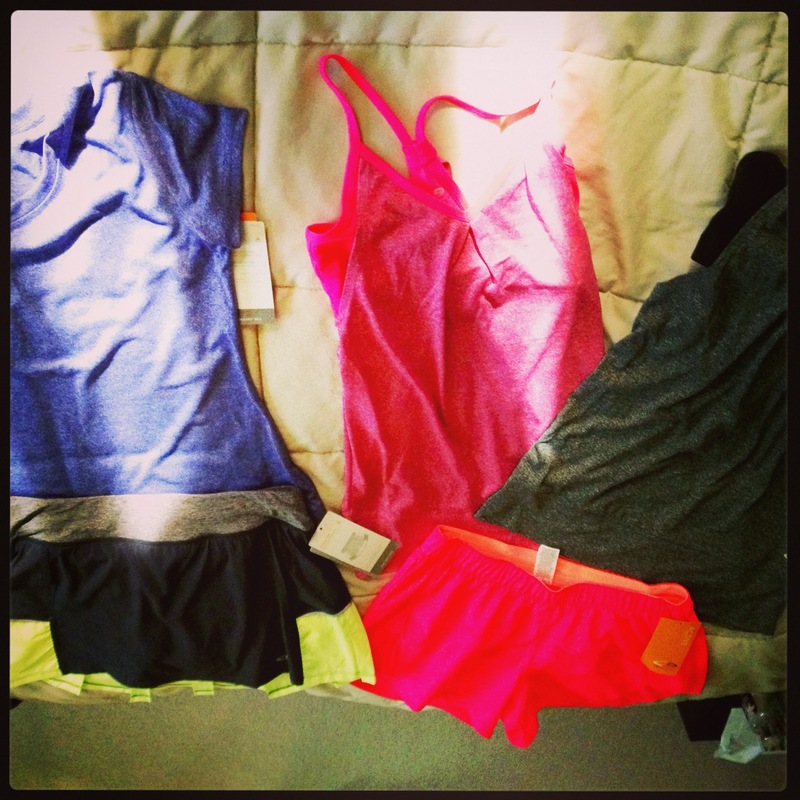 Anyways, if you are looking for cute, affordable, and comfortable-while-you-workout gear, check out Target. I love them all. 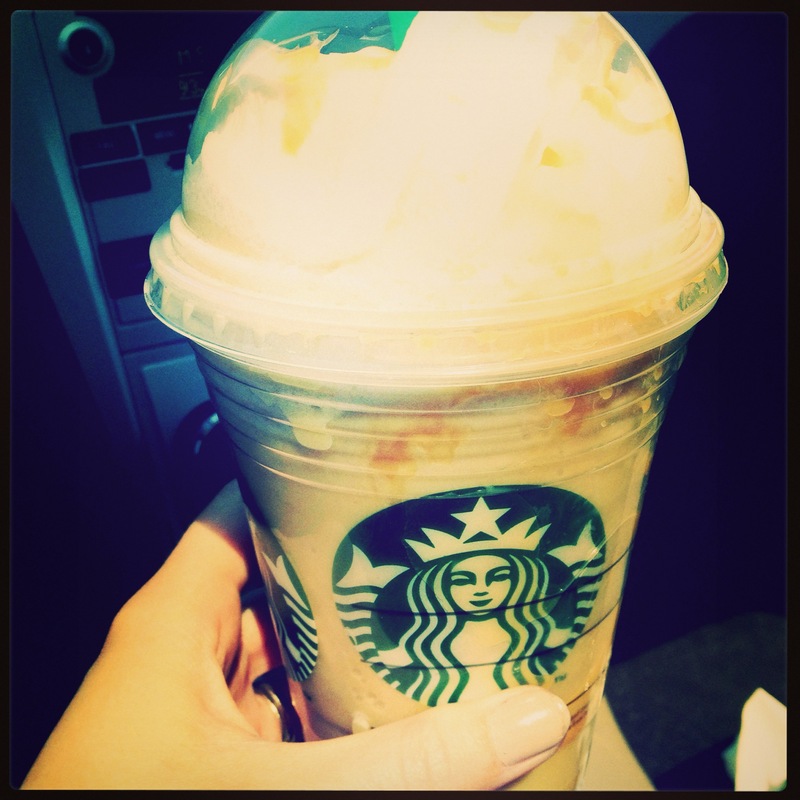 RUN, don’t walk to your nearest Starbucks and order this NOW! I’m more of a warm coffee drinker, but I was in the mood for an iced coffee and saw this advertised as new and went with it. Don’t ask about the calories, just workout and eat well the rest the day. You will be in heaven for as long as it takes you to drink it! Amazing! Utah will be checked off the 50 state list in September! 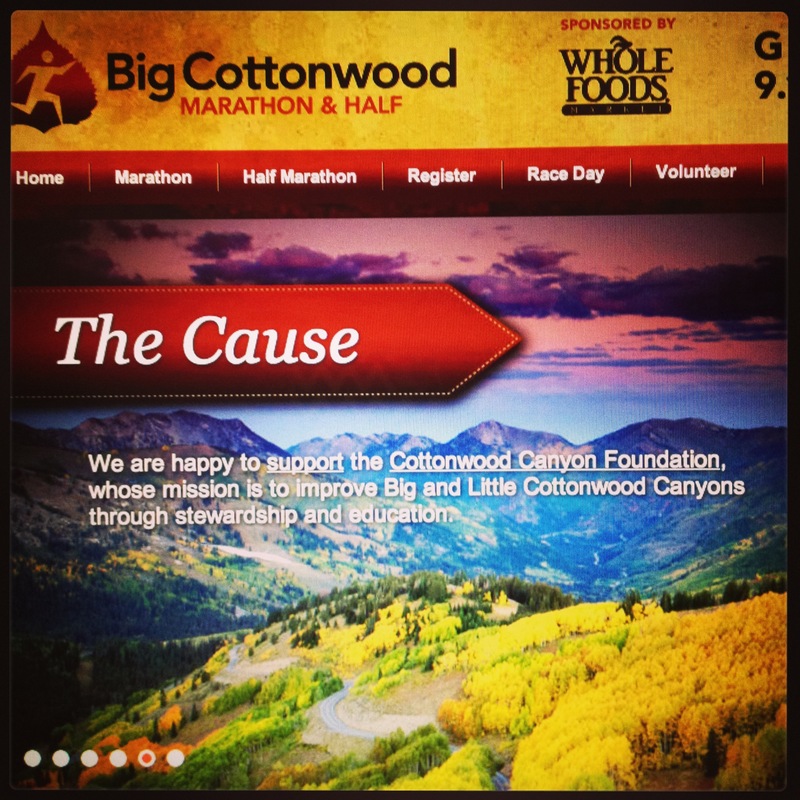 I registered last night for the Big Cottonwood Marathon and am so excited. This course looks beautiful! After enjoying my Starbucks, mom and I went for our first warm(er) weather walk of the year to the spillway on Mother’s Day. The water was high, but it was nice to get back out. It was great to spend time with the woman who has taught me so much. Love her!